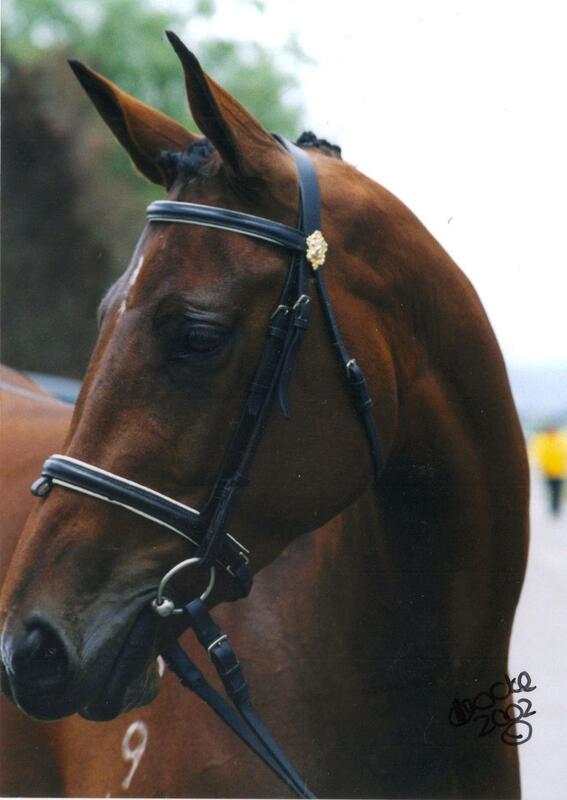 Foaled in 1999, Nina is a lovely broodmare who has had a very successful show and dressage career. She was trained up to medium dressage and even competed at the 2003 Royal Easter Show as a young horse, she came 3rd out of 8 in the Warmblood Filly, 3yrs & Under Class. She is AWSHA and EA registered and her breeding includes the Trakehner line of Valuta. She has had two foals to date. The eldest is by the lovely Oldenburg Stallion Royal Hit and her second foal is out of Furst Love. She is currently in foal to the 2011 Bundeschampionat winner “Furstenball” (Furst Heinrich) and is due October 2012.